Audio talk CD with tablature. On the CDs I play the record clip for each intro or solo on the odd-numbered tracks then describe where and how to play it on the even-numbered tracks. 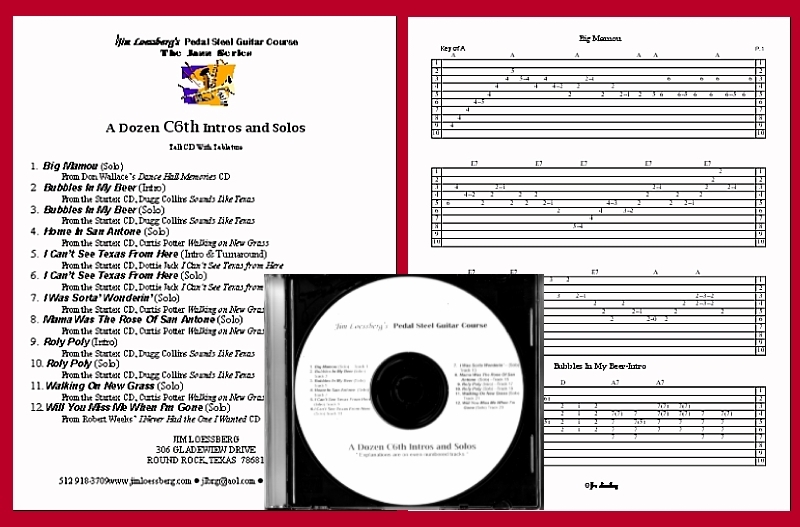 The intros and solos are also written out in an easy-to-read tablature booklet.